My name is Dr. Roseann Capanna-Hodge. I am the founder and director of Dr. Roseann and Associates and the originator of the 360° Reboot® Intensive Therapies Program. For over 25 years, I have been working with children, teens, adults, and parents providing evidence-based holistic therapies including Neurofeedback. Over the years with my patients, I have found that gaining a solid knowledge of the different holistic therapies helps them understand their treatment and make informed health decisions. I also understand how difficult it can be to learn about Neurofeedback given how spread out information is online. To help empower those looking to receive Neurofeedback treatment or those simply looking to better understand it, I created a comprehensive guide. Our hope in creating this guide is to help individuals learning about Neurofeedback to gain an in-depth understanding that can help guide them in their decision in seeking Neurofeedback treatment. Those looking to develop an understanding of Neurofeedback. Individuals trying to gain background information on evidence-based holistic therapies. Anyone frustrated with having to bounce around between different websites to learn more about Neurofeedback. This guide is broken into chapters that cover different topics. The chapter topic breakdown is given below. The guide starts from the basics of how Neurofeedback works and how the therapy has developed over the years. Farther down in the guide we break down the different types of Neurofeedback, the terminology used, and the different mental health conditions we can be treated using Neurofeedback. If you are completely unfamiliar with Neurofeedback, you can read the entire guide from beginning to end. But, if you already have a background understanding on the subject, please use the Chapter Guide below to find the relevant content for your questions. We continually work to improve our guide, but if you find that your question has not been discussed, you can reach out to our office and connect with one of our Neurofeedback specialists to have your questions answered. Would You Like to Speak With a Neurofeedback Specialist? From the foundational research in the 1920s, through the years and all the way to today, the chapter discusses the progress that Neurofeedback has made through the decades and its current practice and acceptance as a form of therapy. Chapter 2 discusses the definition of Neuroplasticity and its relation to brain health. Recovery from brain-related injuries and Neuroplasticity is covered. Chapter 3 explains Neurofeedback’s effect on the brain and nervous system. Beyond the function of Neurofeedback we cover if the therapy is safe, potential side effects and the different types of Neurofeedback used today. The chapter starts with the QEEG (Brain Map), how it works and determining your Z-score. From there you learn about diagnosis and what a typical Neurofeedback session looks like. The origins of Neurofeedback date back farther than many people realize. In 1875, in Great Britain, Richard Caton observed electrical patterns in animal brains. In the early 1920s, a German psychiatrist named Hans Berger discovered patterns in the human brain which he named alpha rhythms. In areas where the alpha rhythms were absent or smaller, he referred these waves as beta. This nomenclature has survived through to today. Around ten years later, two British scientists, Adrian & Matthews, repeated Berger’s studies, proved further that the alpha wave rhythm could be influenced, and they basically introduced the field of EEG (electroencephalogram) to the scientific community. As previously stated, Neurofeedback is built on the foundation of operant conditioning, which was first historically introduced by Ivan Pavlov in 1927 through classical conditioning and his world-famous experiment, “Pavlov’s dog”. Another notable figure, BF Skinner in 1938 would redefine Pavlov’s theory and naming it operant conditioning, an association between specific behaviors and consequences. For Neurofeedback to be effective, its final response can be reached by reinforcing successive approximations of a desired response through the process of shaping (Skinner, 1958). In between Pavlov and Skinner, a Russian scientist, Petr K. Anokhin in 1935 would be credited with the concept of feedback. This theory was then carried out by clinicians who would use the method of biological feedback for treating psychiatric and neurological diseases. It wasn’t until 1968, when Dr. Barry Sterman was researching neurological activity associated with sleep at UCLA in California that the field of neurofeedback began to emerge. His experiments related to EEG parameters would be used as a form of feedback for self-regulation. Dr. Sterman began observing brain activity in cats and monkeys using EEG monitoring equipment. Sterman’s experiment has been regarded and argued as preliminary research toward Neurofeedback. In comparison to Pavlov, Sterman noticed a stillness in the mental state of cats, which would prompt him to run an EEG to find their rhythm frequency. His tactic became known as, “sensory motor rhythm.” Later, Sterman would play the desired frequency while the cats received the reinforcement, giving way to the very first experiment where an individual proved that brain behavior could be changed through EEG conditioning. Shortly after, Sterman would be approached by NASA to deal with a toxic rocket fuel that was the culprit of seizures for many astronauts. His findings would provide immense research on how seizures and their duration could be reduced with proper EEG training. To this day, NASA is still utilizing these tactics. Sterman went on to conduct a variety of EEG research that shaped the field. In 1969, brain self-regulation was officially named Biofeedback, which would later help pave the way for Neurofeedback. Fast forward ten years and Niels BiermBaum and his colleagues in Germany would be using Biofeedback treatments for epilepsy and schizophrenia. Which brings us to the birth of Neurofeedback in the early 1970s. Roy John from the New York University Medical Center would coin the term neurometrics (John, 1977), introducing the idea of quantitatively comparing parameters of individual EEG against a normal group. Throughout the 1970s, EEG biofeedback was used as a treatment of anxiety disorders anxiety, and a variety of psychosomatic disorders. Early work conducted by researchers such as Kamiya, Kliterman, and Peniston continues to be the foundation of Neurofeedback. In the 1970s and 80s, Dr. Joel Lubar began using Neurofeedback with individuals with ADHD. His work coupled with the invention of the personal computer, really become the basis of modern Neurofeedback. He is one of the country’s foremost experts on the treatment of ADHD. Since then, numerous research studies support the efficacy of Neurofeedback for the treatment of ADHD, with many studies showing significant and long-term improvements after neurofeedback treatment. Now, you might be wondering, what is brainwave training research and how can brain waves be a part of the foundation of Neurofeedback? Neurofeedback was created on the principle of operant conditioning, a method of learning that focuses on rewards and punishments for behavior performed. All of our emotions, thoughts, and behaviors are derived from the communication between neurons and our brains. When masses of neurons are communicating with each other, they create synchronized electrical pulses that will, in turn, produce brainwaves. Some frequencies of brain waves are inhibitory, while others are known as excitatory. This simply means that stimulating certain brain waves can mean over-arousal (i.e. agitation, hyperactivity or fidgeting) while others are under-arousal (i.e. spaciness, day-dreaming). But, how have these facts about Neurofeedback come into effect? We’ll dive into the History of Neurofeedback to get a better understanding of this powerful, safe therapy. Most people would argue that energy medicine therapies are unconventional and hard to prove, which is why many have been skeptical of Neurofeedback at first glance. But this powerful neuroscience is far from futile, and has been proven scientifically and seen as an evidence-based medicine by being backed by brain wave training research. This being said, Neurofeedback is based on two scientific facts. The first being that the state of the brain can be reflected through EEG’s (or quantitative EEGs) recorded from the scalp. The second being that the human brain contains plasticity which helps us memorize a desired state of the brain, especially through a reward system. (Kropotov, 2009). Over the last decade, Neurofeedback has become a universally accepted form of treatment, though there are still many doctors today who have yet to understand Neurofeedback and its many advantages. In the past, people who wanted to improve their mental health only had two options – medications or psychotherapy. However, today, neurofeedback has become more widely known and is now recognized as the third option for the treatment of mental health. The monitoring of brainwaves is no longer looked upon as experimental, but rather is a common therapy used to assess and analyze brain function in individuals who suffer from a variety of stress, mental and psychological disorders. In today’s medical world, it is necessary to be able to recognize the effect a neurological or medical condition has within the brain, to fully diagnose and describe it accurately. With the use of modern-day neurofeedback, many conditions show improvements that range from 50%-90% with lasting results. Results are dependent upon how long a condition has existed, the length of therapy training sessions, the skillset of the providing doctor, and finding the ideal pairing between the patient and the EEG system. There are now 18 different techniques in this field that can be conducted, each of which has its own strengths and advantages. With minimal to no adverse side effects, Neurofeedback is fastly becoming the treatment of choice in alternative medicine. With today’s innovative software as well as the advanced brainwave monitoring equipment available, neurofeedback doctors now have all the highly effective resources and tools they need to perform their studies and treatments. It took nearly 50+ years to understand and develop neurofeedback as one of the most sophisticated forms of brainwave training. Neurofeedback is widely accepted and used by many practitioners because of its many benefits, which can include enhanced memory, focus, decrease impulsivity, more clarity, better sleep, and even improved mood. The improvements found in cortical activity can be seen even after training has stopped. At this point, the brain has learned (through reinforcement) a more effective outcome. This will then help create new pathways in the brain, helping to clear the way for more a more desired performance. In fact, the American Academy of Pediatrics has recognized Neurofeedback as an effective treatment alternative for ADHD. Naming the therapy a “Level 1 – Best Support” intervention for attention and hyperactive behaviors like ADHD and ADD. The human brain is constantly reorganizing, retraining and redeveloping as a result of varied life experiences. In the first few years of life, over 1 million new neuron connections are developed per second, this is why childhood is an important time for brain development as well as parenting. Throughout our lives, our brains will constantly be adapting and shaped by new experiences, which will alter our behaviors and thoughts throughout our lifetime. These shifts are neuroplasticity at its best. The more we learn and experience, the more changes we have in the structure of our brains. Brain plasticity is paramount as a fetus or neonate but will decrease over time, though not fully. For infants, brain plasticity helps with adapting to new environments and experiences which will help trigger certain neurons that help build new connections while also strengthening existing connections and decreasing untouched connections. For years, many believed that while we age, connections in our brains became fixed and eventually fade. But, new research has shown that the brain will continue to change through the act of continuous learning. With that said, neuroplasticity allows for the healthy development of our brain circuits which, when structured, define our very person. Neuroplasticity allows each of us to adapt and evolve our own unique free will and choice which is why it plays such a significant role in our brain health and in our lives overall. Neuroplasticity is also a health benefit to everyday, ordinary people who have not suffered brain or head injuries. Brain training helps people to enhance the functionality of their brain during everyday activities and to minimize cognitive declination going forward. It allows people to think quicker, remember more, and experience achievements in multiple facets of life. In addition, as we age, we still are able to learn new things every day, from languages and skills to a wide range of other activities which requires our brain to be able to retain the newly acquired knowledge. Neuroplasticity, through repetitive activities, provides this very capability. When we find ourselves in need of learning and mastering new skills, wanting to enhance our memory functions, or even find ourselves in need of recovering from complex illnesses such as a brain stroke, the brain’s capability of forming new neuron pathways to balance and harmonize the damaged connections is possible through neuroplasticity. Whatever our activity challenge may be, once we continuously engage in a process, it will become easier to perform the activities over time because our brain will have adapted and will perform right along with your body. Further, neuroplasticity aids people in recovery from injuries, strokes, learning disabilities, depression, addictions, post-traumatic stress disorder, obsessive-compulsive disorder, and a variety of other brain deficits and dysfunctions by enabling healthy changes in neural patterns of the brain. In relation to the brain, Neurofeedback is a powerful therapy that works via operant conditioning and reinforcements. During therapy sessions, your subconscious will be reinforced when you are taught to change its behavior. In simpler terms, you can change your symptoms or how you feel by reinforcing the change in your brainwaves at a subconscious level. A healthy, regulated autonomic nervous system will demonstrate regular oscillations between the sympathetic (energizing) and parasympathetic (relaxing) branches of the brain. Even after dysregulating circumstances like an activity that increases your heart rate or even a “near death” experience, your autonomic nervous system should return to normal as you calm down. For some, stress states can cause a “flight, fight, or freeze response” and the nervous system gets stuck in one of these states, as the sympathetic and parasympathetic systems become unbalanced and lead to dysregulation. The goal of Neurofeedback is for the brain to produce a healthy combination of brainwaves that results in you feeling more focused and regulated; really to optimized in a manner that you are your best self*. So how does Neurofeedback change brain functioning? The brain contains billions of nerve cells that coordinate and works together to form our thoughts, emotions, sensations, behavior, and movement. This organ is also made up of brain cells called neurons that use electricity to communicate, and each section of the brain has a psychological function and the process of Neurofeedback creates new electrical activity. During Neurofeedback sessions, you will be training your brain, similar to the way one performs an exercise or any form of physical activity. And what is a common side effect from training? Fatigue. But this kind of fatigue is mental, not physical. There is no real ‘side effect’ to Neurofeedback as nothing is taken orally or digested into the body. While some lean toward pharmacological interventions, there is truth in how evidence-based holistic therapies can have an effect on the central nervous system (CNS). The brain emits electrical activity in waves that can be measured using an EEG machine. Trained Neurofeedback providers can then read the data from an EEG, analyze it and identify which brain wave patterns are being activated and what the cause of your symptoms might be. An EEG will identify four kinds of brainwave frequencies. The first is called delta (slow), theta (slow), alpha (medium), and beta (fast). Alpha waves are present when a person is taking a moment to reflect or is meditating. Beta waves are when a person is interacting, talking, or solving a problem. Theta waves are then seen during drowsiness or daydreaming. They can also be present during restless activity. Delta waves occur when you are sleeping. Neurofeedback sessions are completed to help restore a healthy balance of brainwaves. Audiovisual entrainment (AVE) is a technique that uses pulses of light and sound at specific frequencies to safely and gently guide brainwave patterns. Through a process of entrainment, which is the tendency of physiological processes to mirror environmental stimuli, AVE regulates brainwave functioning. By presenting combined pulsed audio and visual stimulation to the brain, over a period of time the brain begins to resonate at the same frequency as the stimuli. It also increases cerebral blood flow in the brain, as well as impacts the electrical activity of the brain. AVE increases the metabolization of glucose in the brain for improved functioning of the neurons. The combined action of these processes results in improved mental performance and focus, and quiets internal dialogue or chatter, which are often negatively impacted by anxiety and depression. Does it Matter Which Type of Neurofeedback I Use? It’s time to get ready for your first Neurofeedback treatment session or you’re incredibly interested in the ways of Neurofeedback. Regardless of your interest or intent on the topic, there is a lot to understand what goes into the practice of Neurofeedback. It all begins with a QEEG also known as a Quantitative Electroencephalogram which many have come to know as brain mapping. What is a QEEG (Brain Map) and How Does it Work? A quantitative EEG (QEEG) is a helpful diagnostic tool that looks at brainwave patterns within different regions of the brain. In very simple terms, QEEG is a computer analysis of the EEG data, which is a measure of the surface electrical of the brain. The EEG activity is recorded and statistically analyzed, and the data is compared against a database. It is a visual way to see brain functioning regarding brain waves. QEEG’s give us information about the formation of brainwaves and certain brainwaves are associated with certain conditions. This process involves a specialized skull cap which will be fitted to the adult or child, and which has receptacles to hold sensors which will map each of the nineteen brain sites across all relevant frequencies. A QEEG involves placing small, flat metal sensor called electrodes onto your scalp, in order to track and record your brain wave patterns. These electrodes will analyze the electrical impulses in your brain, which will be recorded with the help of a computer. 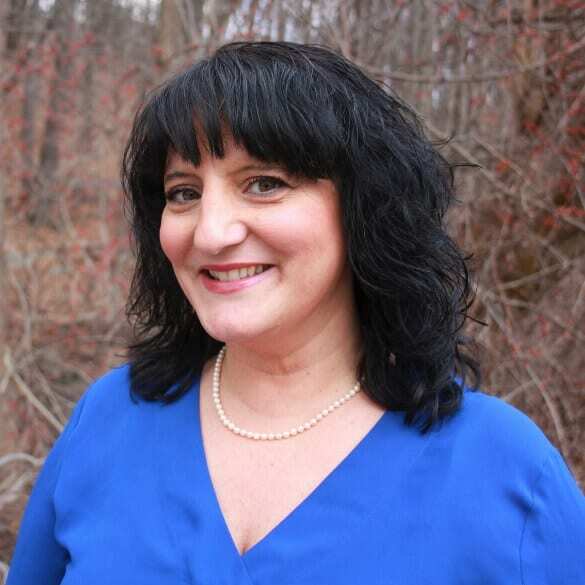 At our office, which provides Neurofeedback in Connecticut and New York, we only trust our board-certified Neurofeedback Practitioner, Dr. Roseann-Capanna Hodge to read the findings of our patient’s QEEGs and offer custom, individual treatment plans. How is QEEG Driven Neurofeedback Different? Whereas in a ‘normal’ brain, the brain waves act in harmony across the various regions, the brain maps of impaired individuals identify sites that are running ‘fast’ or ‘slow’, and these are the sites to be treated. There are very specific patterns that consistently emerge for various disorders in this mapping process. Research shows that dysfunctions such as schizophrenia, OCD, depression, learning disabilities, or ADHD are associated with specific patterns in spontaneous and evoked electrical potentials (Kropotov, 2014) that can be studied with the help of a Quantitative electroencephalogram (QEEG). QEEGs become a way to measure and compare treatment effects and better target neurofeedback to your unique bio-individual needs. What Does the Research Say About QEEG and Diagnosing? Many practitioners of Neurotherapy do not require a QEEG before clinical intervention, and it is by no means unethical to begin treatment without a QEEG. There are currently no leading medical professional organizations that say a QEEG is required for determining neurological or psychological conditions but it can be quite effective in identifying conditions such as ADHD. Research shows that a QEEG is a widely accepted method for evaluating cortical activity and changes that occur in both unconsciousness and conscious awareness. When performed under the hands of an untrained operator, clinical findings can be skewed. But, a skilled neurophysiologist in cognitive dysfunctions can improve the analysis of background activity, slow/fast focal activity, evaluations, classifying and following disorders. (Kanda, Anghinah, Smidth & Silva, 2009) Additional studies show that QEEGs can be helpful in investigating learning disabilities, and evaluating disorders with an accuracy rate of 46% to 98%. What Does Your First Neurofeedback Sessions Look Like? After finding an experienced Neurofeedback provider that you can trust, you will have to set up your initial QEEG. First, you will be put into a relaxed state, sat in a comfortable chair, and a cap will be placed on your head, and then electrodes (or sensors) will be attached to your scalp. These electrodes will help us record data from your cortical electrical activity, also known as brain waves. During your QEEG you will try to remain as still as possible, minimizing any head or jaw movements. You must remain awake during your test as well. Depending on what type of condition you have and your brain functioning, the number of Neurofeedback sessions you attend can range from 20 to 100 sessions or more but an experienced clinician will be able to give you an estimate after a QEEG. Most of our clients will come in at least two to three times. Similar to exercising, your brain must become accustomed to the treatment sessions, and in order to track your progress, we collect data after every session. At our office, we will monitor your progress in three different ways. (1) Performing QEEGs at regular intervals to help us look at your brain functioning, (2) data collection will occur at every session, and (3) we will regularly optimize protocols for your sessions through behavioral progress monitoring. Your individual treatment plan is adjusted according to these multiple data points. Dr. Roseann Capanna-Hodge uses Neurofeedback, Biofeedback & other non-invasive evidence-based, holistic treatments to create custom and drugless solutions to aid the improvement of health naturally. Schedule a consultation to meet with us and start on your road to health.